Michael Bloomberg’s gun control Everytown is already investing heavily in the midterm elections, but they announced another $5 million in 15 House races. There is a normal wave for the party that doesn’t hold the presidency. Bloomberg’s Everytown and the media is likely to interpret any pick up by the Democrats as a win for gun control advocates. According to Real Clear Politics, Bloomberg has picked races that range from lean Democrat (Paulsen of Minnesota, Coffman of Colorado, Comstock of Virginia) to toss up (Rohrabacher of California, Yoder of Kansas, Bishop of Michigan, MacArthur of New Jersey) to lean Republican (Handel of Georgia). At least some, such as Tom MacArthur, would be hard to describe as strong on self-defense issues. MacArthur is given an 80% Gun Lobby Independence rating from the Brady Campaign. 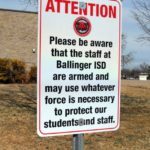 “Suburban swing districts are going to make this election, and gun safety resonates extremely high with suburban voters. We’re trying to galvanize new, young and suburban voters in a way that they’ve never been engaged before and meeting them exactly where they are.” — John Feinblatt, president of Everytown for Gun Safety. The irony is that there “Not One More” campaign, which will show footage of mass public shootings and push more gun control, won’t stop these mass public shootings, and they will fight against the very policies such as getting rid of gun-free zones, which would make a difference. 98% of the mass public shootings have taken place in gun-free zones. Cases where concealed handgun permit holders have stopped mass public shootings.